Get a taste of Oslo’s colorful history with this 3.5-hour private walking tour. Start at the Nobel Peace Center, and visit the quirky Opera House, Central Station, and Norwegian Tiger as you explore the city center. 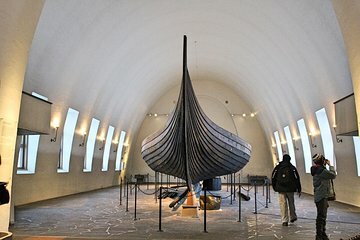 Head to the Viking Ship Museum in Bygdøy to see original ships and listen to stories about the beliefs, culture, and customs of the Vikings.